A while back I directed you to the Whiskey Charmers' Kickstarter page. If you're one of the people who was kind enough to donate, then you', you lucky duck, already have had a chance to hear the band's debut album. One of the reviews on the Bandcamp page describes the album as "Lucinda on LSD." That's pretty apt. Carrie Shepard's sultry voice ripples over forlorn steel guitars and mystical lyrics about bedding vampires and sending chain-bound ghosts to the great beyond. It's not all Southern gothic, though. "C Blues" will tickle that deep-seated part of the brain that loves pentatonic scales, and "Sidewinder" is a treat on its own. 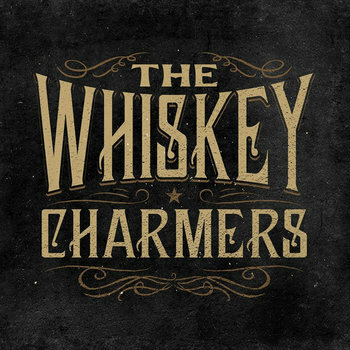 The Whiskey Charmers bring a fresh take to the more melancholy side of alt-country, and they do a damn good job. Want some free music? Check out our giveaway here. I'd never heard of this band, but it appealed to the southerner in me. Clicked play and listened to the intro, and didn't expect a female vocalists for some reason. Caught me off guard and gave rise to an entirely different set of mental images. Very cool band. Thanks for sharing.